Build, Plug & Print! This build-it-yourself kit gives users a fascinating insight into the groundbreaking technology of 3D printing. Print your own parts yourself at any time - so individual, so easy, so flexible - for use in your own home! Either with the supplied printing examples, different examples on our eLearning portal (fischertechnik-elearning.com) or with your very own print data. 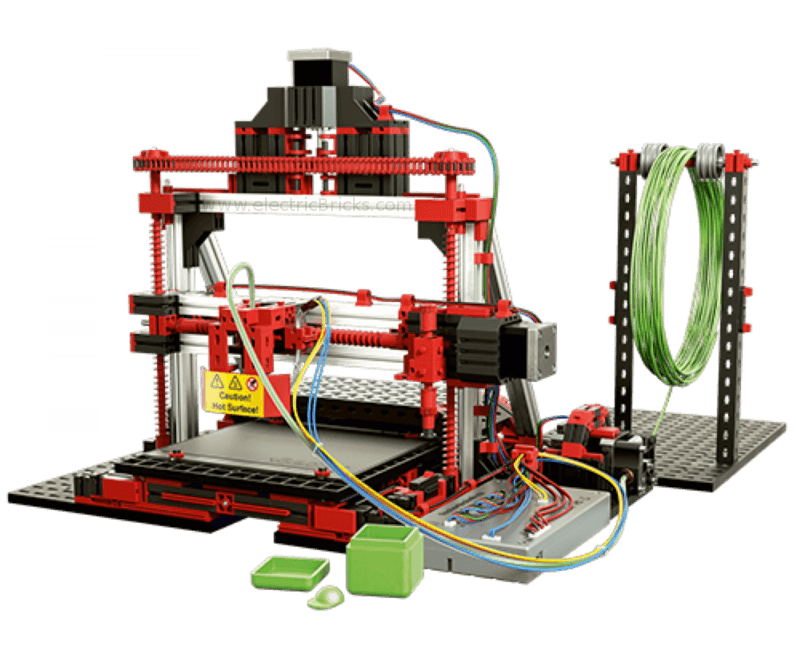 The robust 3D printer is easy to build and can be used for 3D printing of different parts. Users acquire basic knowledge about 3D printing and an insight into this revolutionary technology that promises high future potential. PC software for controlling the printer via the USB interface. The eLearning portal offers exciting, instructional activity information and videos. Includes: - 3D-Controller with Atmel microcontroller, USB interface for PC (USB port Micro B, incl. interface cable), 4 step motor drivers (for x-, y-, z-axis and extruder), one power output (MOS-FET) for the extruder nozzle (hot end), connections for 3 limit switches and a temperature sensor, DC port for voltage supply 19V, 6,3A. Dimensions: 150x90x25mm. 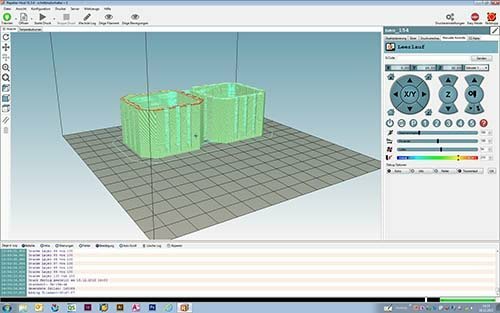 - Sofware 3D Print Control, with slicer and printer control, specially adapted to fischertechnik 3D printer (Windows 7, 8, 10). Numerous finished printing examples contained as G-codes. - 4 high-torque step motors (x-, y-, z-axis, extruder), 3 mini push-buttons (as limit switches for x-, y-, z-axis), heated nozzle (for 1.75 mm Ø filament) with temperature monitoring, printing bed with removable printing plate. - Incl. power unit (AC input 100-240V, DC output 19V, 6,3A, 50-60Hz). - Incl. high quality filament (50g roll, PLA, 1.75 mm diameter). 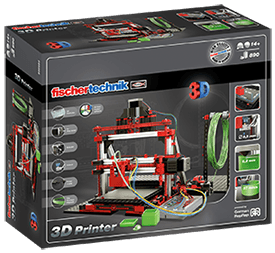 High quality filament (PLA) in special fischertechnik colors (50g roll oder 500g coil) can be ordered separately.